The magic spell of this chronograph watch is hard to break. 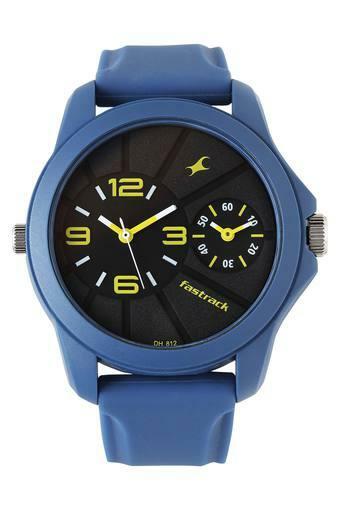 It sports a sleek bezel mounted on a stylish leather strap that lends it a trendy look. Designed to perfection, it also features a crown that ensures an easy time adjustment. Accentuate your casual look by sporting this chronograph watch presented to you by Fastrack.